Missions in Progress at Presidential Meadows! Agent Perez’ class chose the topics of deforestation and pollution during their CIA training. Since both groups have similar goals, they decided to work together to write letters to the government asking for better laws to protect the environment, particularly regarding deforestation and emissions from factories. In Agent Herbst’s class, Team End Homelessness is working on creating care packages to give to homeless people. Team End Racism is working to create a play that raises awareness of some of the issues they’re concerned about, and how we can work together to solve them. In Agent Garvey’s class, Team End World Hunger is working to start a food drive at their school. They also learned more about what organizations in the area are working to alleviate hunger, and how they can join those organizations to help. Team End Animal Abuse is working on a video that raises awareness and shows teaches how to be a responsible pet owner. They’re hoping to collaborate with Austin Pets Alive! to see if they can go there to get footage of the animals. Congratulations, Agents! You’re making great progress! We’re proud of you! Remember to keep evaluating your success and trying again and again and again! Welcome to the CIA, Agents! Good luck on your missions! The Homeless Pets team plans to get the word out about how to be a responsible pet owner. They are making posters, writing speeches for the local news, and designing a wall calendar. The Poaching team is forming an in-school club that intends to partner with local businesses to promote ethical treatment of animals. The Cancer Team is organizing a Cancer Awareness assembly where students can speak. They will also be putting together a care package for young patients at Dell Children’s Hospital. The Animal Abuse team is writing speeches to share with their school about ways to treat animals with respect. The Destroying Land and Nature/ Construction group is planning to start a club to pick up trash at their school. At recess, they’re given a 5 minute warning before recess is over, so they had the idea to use their 5 minute warning to pick up trash around the playground. The Terrorism group talked a lot about what’s currently going on in the world, how terrorism takes different forms, and how it relates to racism and war. The students plan on doing more research, and also will write letters to Congress encouraging them to accept Syrian refugees. The Animal Cruelty team would like shelters to do more trainings for pet owners to be responsible, and also to better ensure the health of the animals while they are in the shelter. They plan on making a petition and writing letters to local shelters, and also making posters to put in shelters about how to be a responsible pet owner. 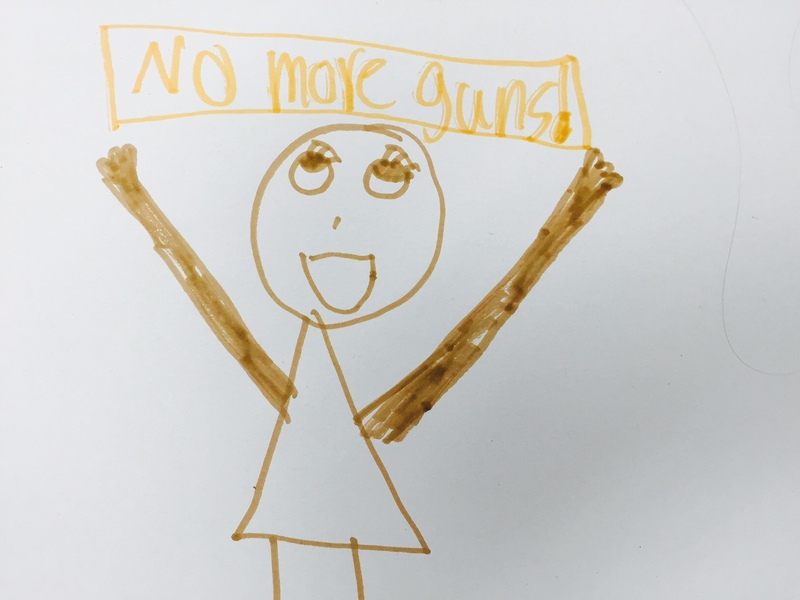 The Mass Shootings group talked about doing a march to the Capitol, asking for more gun control. They plan on making signs and a petition for their march. The Racism Team is going to do more research, and talked about the possibility of a rally. They’d also like to ask law enforcement to conduct racial equality trainings for police officers. The Terrorism Team would like to write letters to President Obama and Greg Abbott to accept Syrian refugees into the country, and to encourage peace talks in the Middle East. The Animal Extinction Team is going to start a fundraiser for the World Wildlife Fund, and also do more research on the root causes of this problem. The Pollution/ Littering Team decided to do a rally to raise awareness of the issue. They will start with a rally at their school and possibly go next to other places in town like community centers or even the Capitol. The Animal Cruelty Team is starting a club at their school to promote animal safety and habitat conservation. 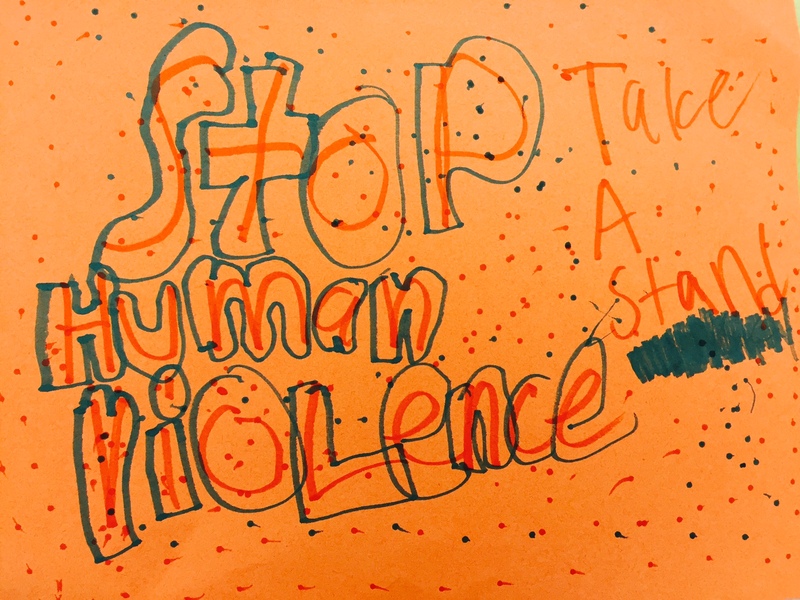 The Human Malice Team wrote letters to President Obama urging him to promote peace and to stop gun violence. They are excited to spread the message of harmony to their community. 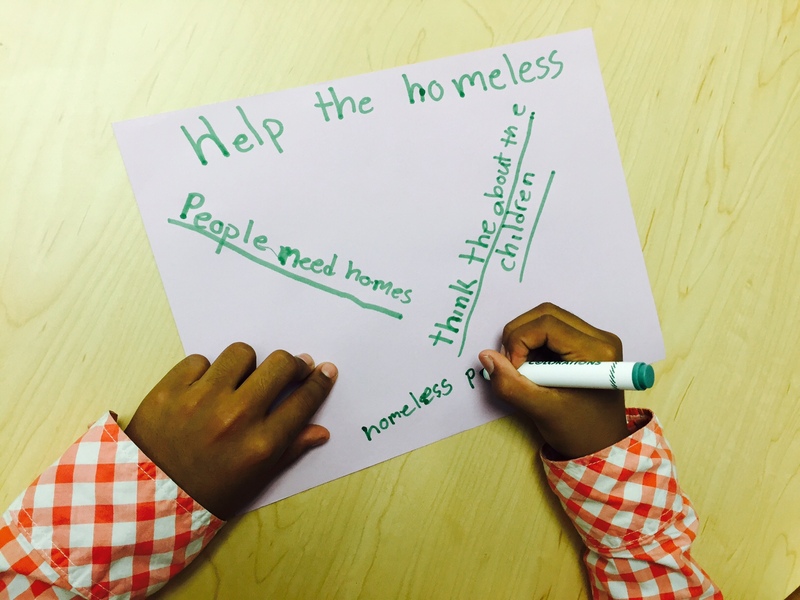 The Homelessness Team is working with Ms. Carter to prepare weekly announcements promoting empathy and giving. 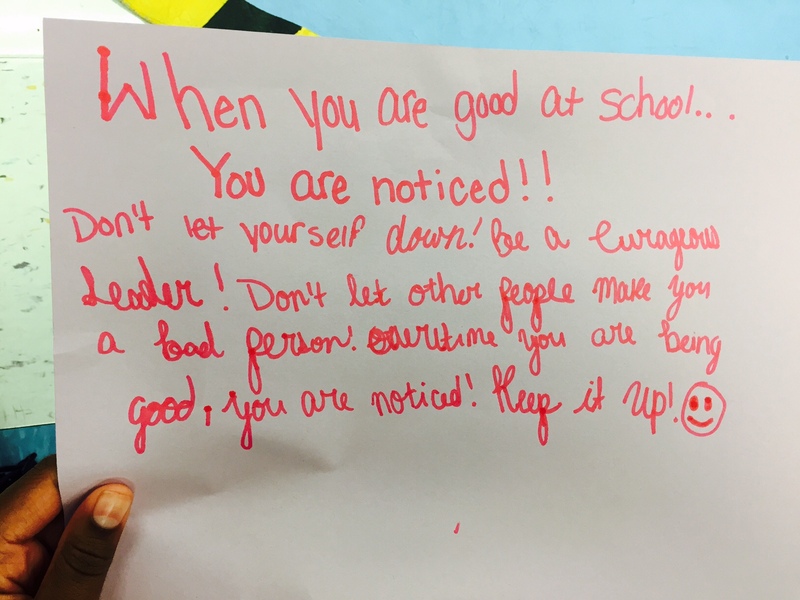 The Kids in Trouble at School Team is preparing speeches to make on the announcements encouraging their peers to help each other do well in school.